the invention of "jumping over" games - to see how far She can go. 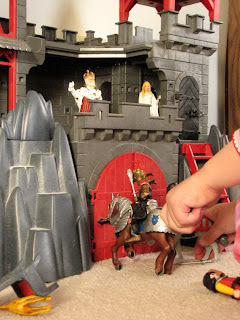 OMG - the playmobil castle. My son Duncan LIVES for his (and playmobil in general), he pined over it for almost a year!